Today was the first day of Official Trainings in Stuttgart. Most delegations arrived to Germany yesterday. Fifty-eight National Federations will be represented, of which 37 are European. Russian individual gymnasts Yana Kudryavtseva, Margarita Mamun and Aleksandra Soldatova headline an impressive field at the 34th World Championships. This is not the first time that Yana Kudryavtseva visited the country. She was in Munich a few weeks ago, where the orthopaedics doctor, recommended Yana to stop doing sport for a period of six weeks due to her leg injury. Meanwhile, Alexandra Soldatova performed in podium trainings her ribbon, hoop and clubs routine (she was suposed to compete with two of them). Margarita Mamun was regular throughout the day. It was not a good day for team Ukraine (senior individual) Anna Rizatdinova, Viktoriya Mazur and Eleonora Romanova. 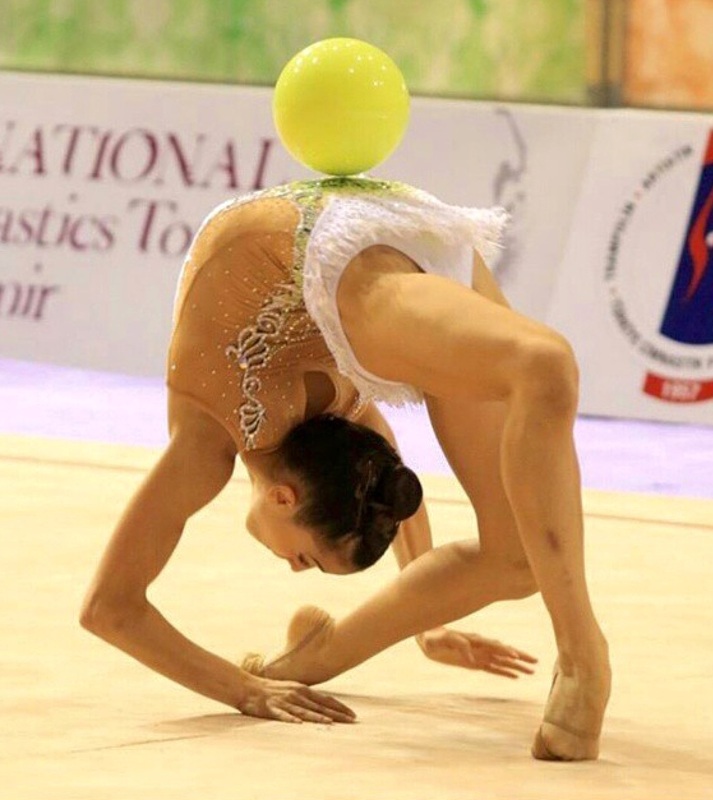 Anna Rizatdinova made several mistakes (she even cried). She is the head gymnast of the team. Bulgarian team (Mateva, Vladinova, Stoykova) showed off their original routines. Vladinova made no obvious mistakes. Team Spain (Carolina Rodríguez, Polina Berezina, Sara Llana and Natalia García). Carolina is back to her good shape while Natalia García made a few mistakes. These World Championships are extremely important as it is the first qualifying stage for the Rio 2016 Olympic Games. 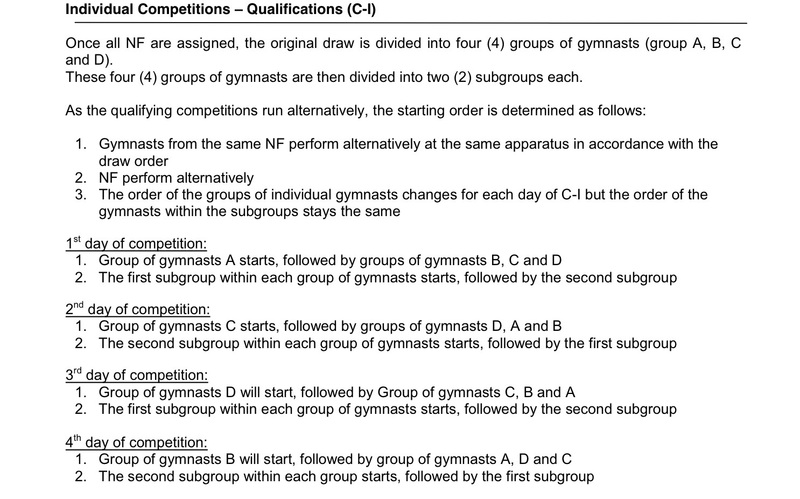 Individuals who ranked 1st to 15th earn the right for their Federation to send a gymnast to Olympic Games. There is a maximum of 2 places per country. Gymnasts placing 16th through to 38th are invited to compete at the test event (PreOlympic) in Rio in April 2016 where the top 6 will qualify for the Olympics. Up to three additional gymnasts could go to Rio if they hail from continents who have not already qualified a gymnast to the Olympic Games. Groups ranking 1st to 10th in the all-around will advance automatically to Rio. 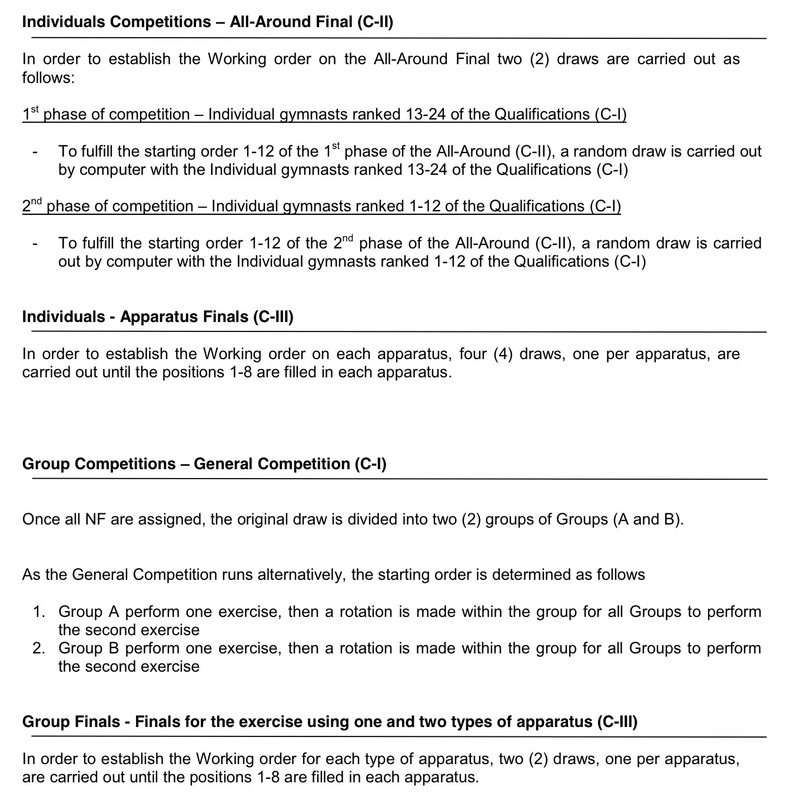 Places 11 to 16 will have to compete in the test event where the top three groups will also get a ticket to the Games. Additionally, these Worlds also are a qualifier to the 2017 World Games in Wroclaw, Poland. World Championships is the most important date of this preolympic year. 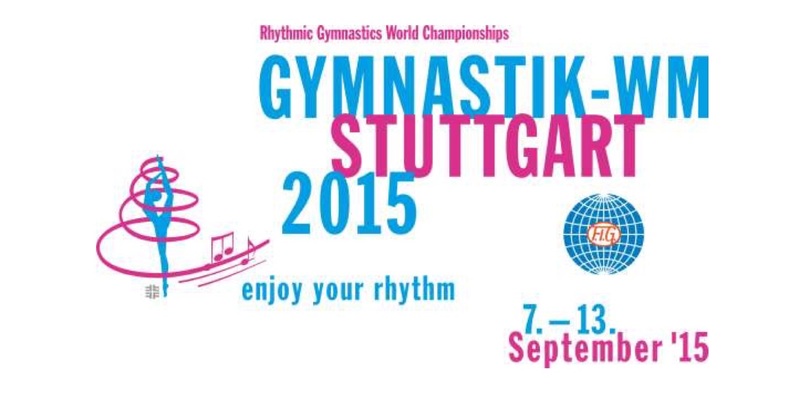 It will be held in Stuttgart from the 7th to the 13th of September both individual and groups. The first fifteen gymnasts and 8 groups will qualify to Olympic Games in Rio. The second opportunity to qualify will be next year at the PreOlympic Games.